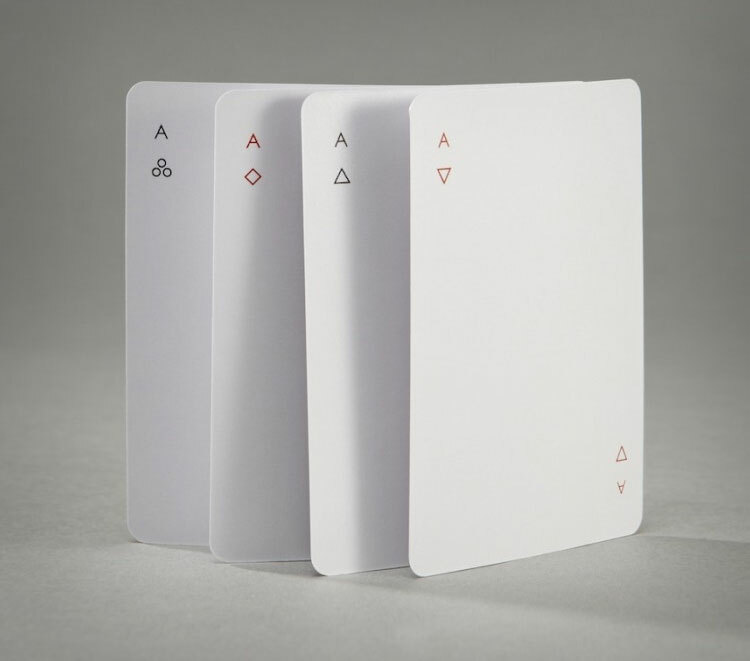 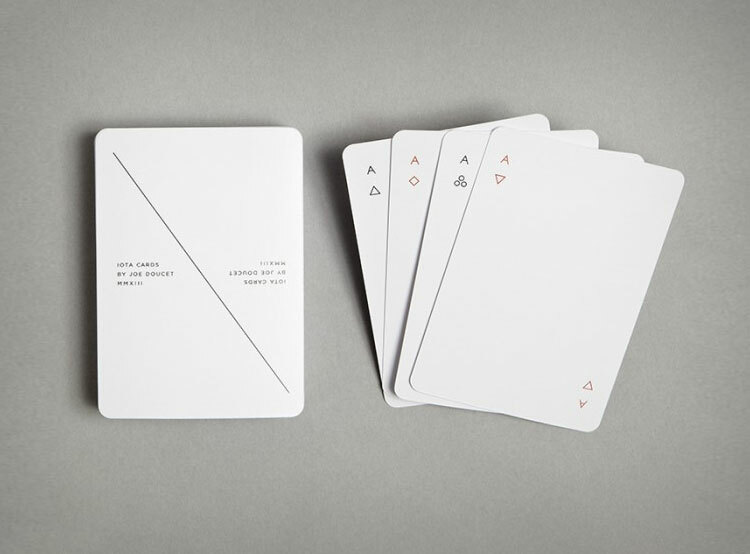 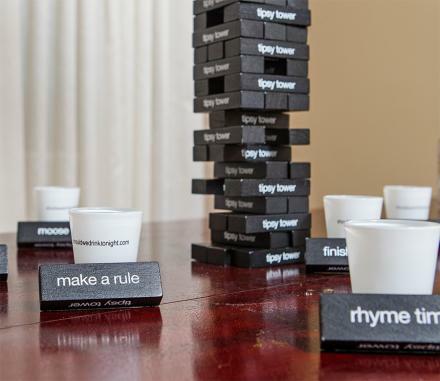 The minimalist playing cards are a deck or cards that offer you the absolute bare minimum amount of visuals to tell you what the card is, and will most likely cause a few fights or possibly a few under the table shotgun deaths over who has won a hand. 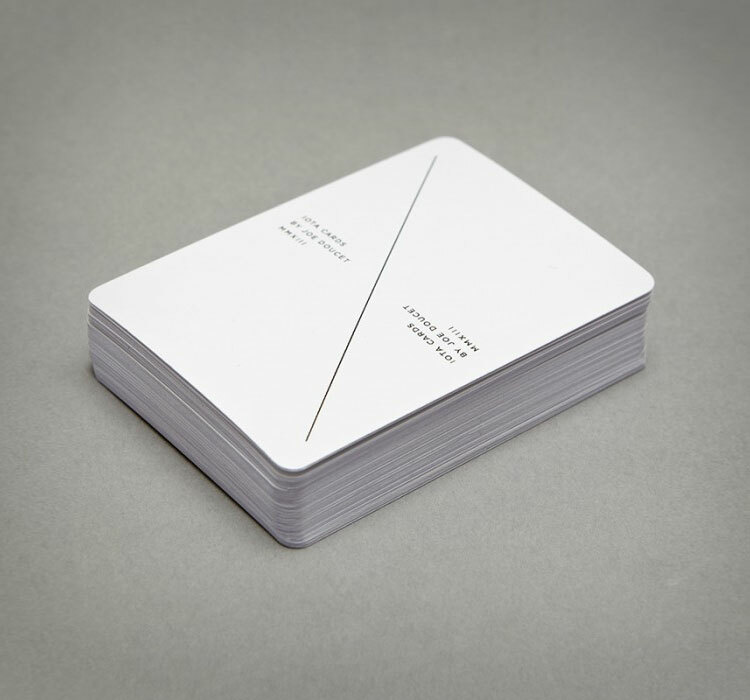 The cards are all white except for a small black or red font with the card number in 2 of the corners along with a bare minimum geometric shaped suit right below it. 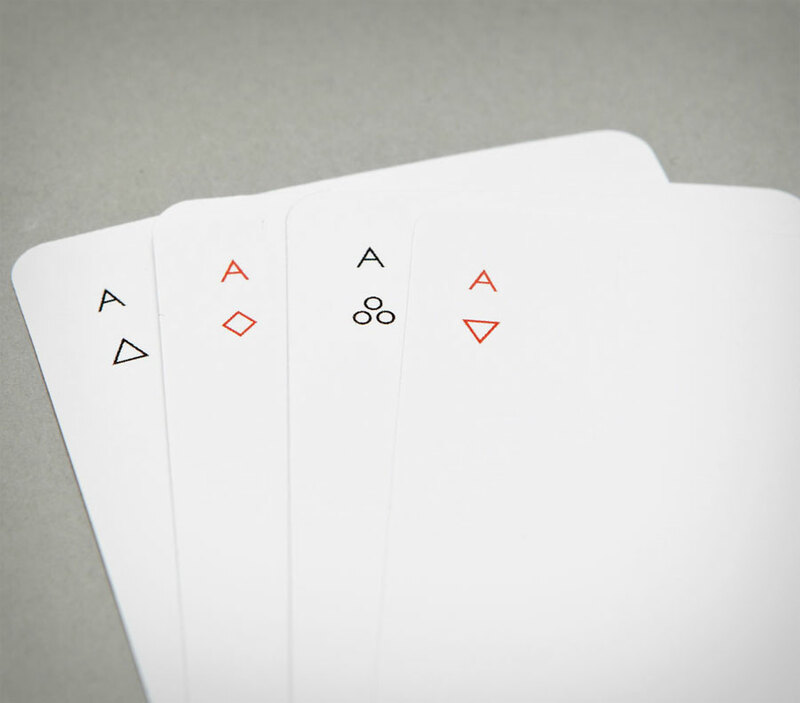 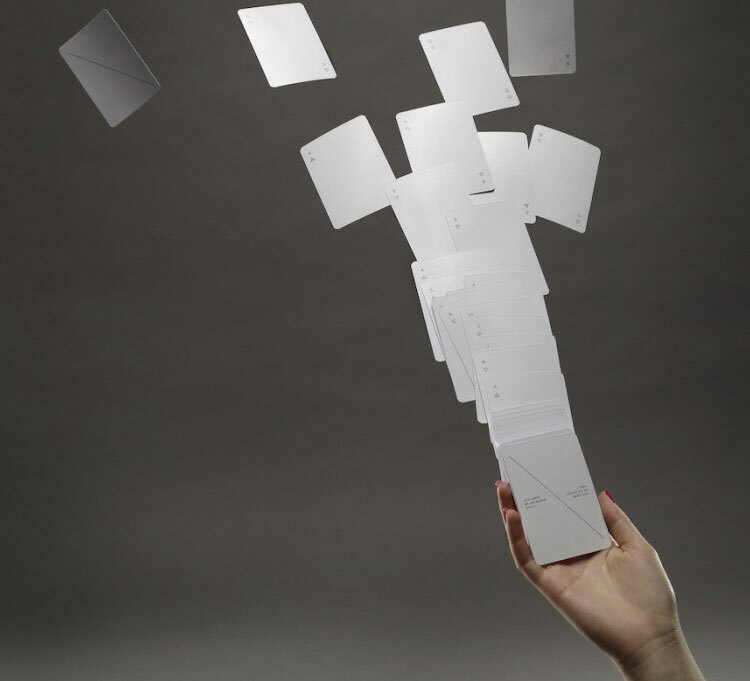 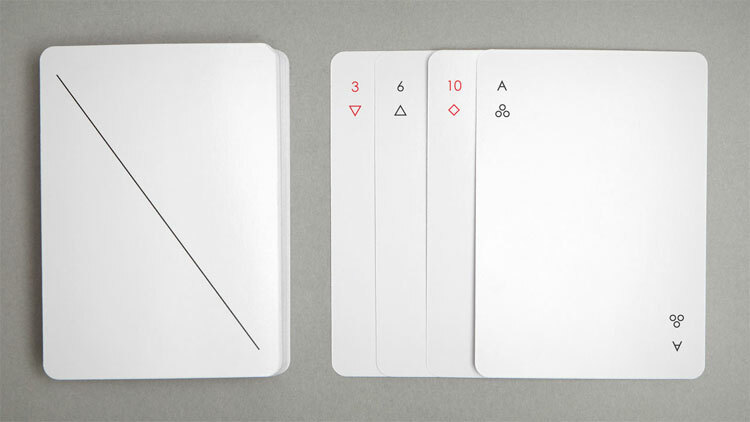 The minimalist iota playing cards were designed by award winning designer Joe Doucet, are regulation cards, and completely do away with the overdesigned and overdressed Jacks, Queens, and Kings.